Venturing a bit south of the borders of Switzerland we find one of Italy’s finest and most well-known cheeses – the Parmigiano Reggiano or Parmesan cheese. 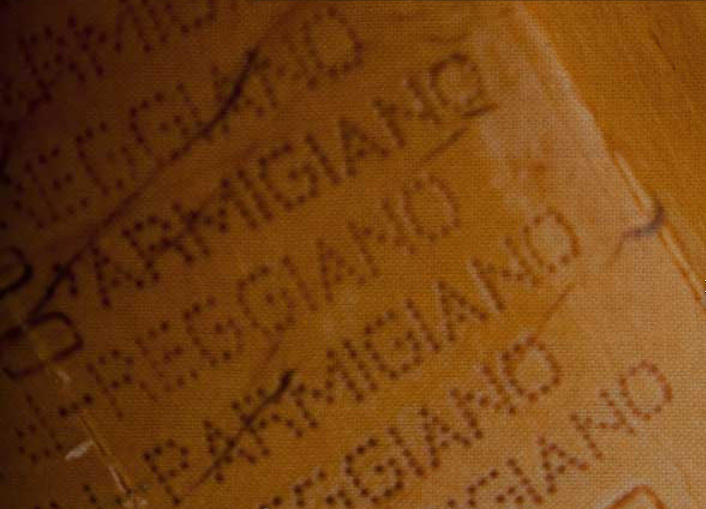 Parmigiano Reggiano is a hard granular cheese named after the areas where it is produced, all of which are located in Emilia Romagna, namely Parma, Reggio Emilia, Modena and Bologna. It is protected under both the Italian (which states that only cheese produced in these areas can be labelled as Parmigiano Reggiano) and European Law (a protected designation of origin). After the raw cow's milk has curdled, the cheese is put into round steel forms that are pulled tight by a belt to retain its shape. After a few days, the belt is removed and a plastic mould with the plant number and production date is put around the cheese before the buckle is tied again. After the production process, the cheese wheels are transferred to aging rooms where they stay for 12 months. With up to 4000 wheels at each aisle, the storage facility is an amazing sight to behold! After 12 months, the master graders painstakingly inspect every cheese wheel. They do so by gently knocking on each of them with a hammer listening for undesirable cracks or holes in the wheel. Those that pass the test are then heat branded on the rind with the brand’s logo. We usually bring in Parmesan quarters which we cut into smaller portions in the shop so that our customers will be ensured that only genuine Parmesan is used. On occasions, we do bring in a whole wheel ( about 40 kg) for training purposes and to give people an idea of how it actually looks like and how it is cut. Parmesan may be used in many ways – in pasta’s, soups, baked dishes, with fruits such as figs or plums. Now available at our Online Butchery at $4.80/ 100g.